I previously reported on a bankruptcy involving the BUTTERNUT trademark for breads. 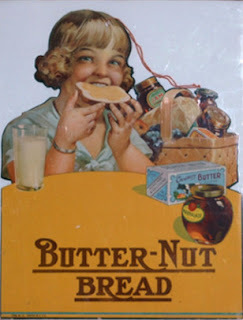 In 1996, in order to avoid antitrust concerns created by its acquisition of another bread company, Interstate Bakeries Corporation (IBC) sold assets and granted a trademark license for its BUTTERNUT and SUNBEAM marks to Lewis Brothers Bakeries (LBB). The trademark license was only for certain geographic areas. In 2004, IBC filed for bankruptcy and the question was whether the trademark license was executory, which would mean that the bankruptcy trustee could reject LBB’s trademark license and reclaim the right to use the trademarks itself in the licensed territory. The bankruptcy court held that the license was executory and therefore could be rejected. The district court denied the appeal. The court of appeals has now weighed in, affirming the bankruptcy court and district court. The reasoning is expected; the quality control provision is a continuing obligation so the license is executory and therefore subject to rejection. The dissent argued that there was more than a trademark license, but rather the asset purchase agreement and the trademark license should have been treated as one integrated agreement. Looking at the whole, the dissent would not have found that there was an executory agreement. What appears to be missing is any consideration of the effect on LBB. The Seventh Circuit recently decided that the denomination of a trademark license as executory does not dictate that the trademark licensee lose its right to use the mark and it therefore allowed a trademark licensee to sell trademarked goods. This is an area to watch. Lewis Bros. Bakeries Inc. v. Interstate Brand Corp., No. 11-1850 (8th Cir. Aug. 30, 2012).